An important day of action is happening this Saturday – don’t miss it! Activists across the world are taking action against hydraulic fracturing (aka fracking) in the Global Frackdown on October 19th. Can you join us? Find an action near you and take a stand against fracking. Fracking involves taking millions of gallons of water, mixing it with tens of thousands of gallons of chemicals and pumping the mixture underground at extreme pressure to break up rock formations and release oil or natural gas. 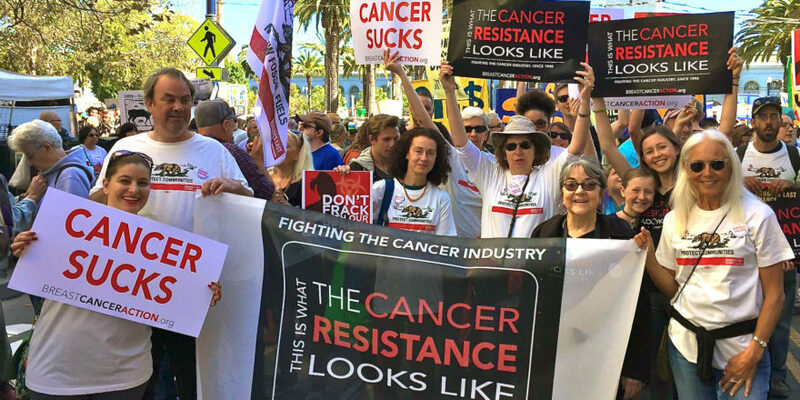 Fracking exposes people to endocrine disruptors and carcinogenic chemicals that are linked to breast cancer, other cancers, and a host of other health harms. Over 700 chemicals are used in the process of drilling and fracking for oil and gas. Of these, dozens are listed as “chemicals of concern” because of their link to health harms. Several are known carcinogens or endocrine disruptors that have proven links to breast cancer. Take a stand and say, “Don’t frack with our health.” Join the Global Frackdown! Fracking is bad for the earth and bad for our health. As the oil and gas industry escalates its public relations offensive about fracking, it’s critical we counter them with people power. Please take a stand against fracking with activists around the world on October 19th.